Boston, MA – Alira Health is pleased to announce that Mary McNamara-Cullinane, RAC has joined the firm as a Partner, bringing her extensive expertise in Regulatory Consulting to Alira Health’s clients worldwide. Mary has authored over 180 510k submissions and was involved with 3 PMA approvals. In addition, she has submitted over 50 Pre-Submissions, Requests for Designation, 513(g) Requests for Classification and one Reclassification Petition. Mary can bring over 25 years of regulatory strategy and submission execution across an extensive scope of therapeutic areas including digital, general and plastic surgery, wound care, physical medicine, dental, radiology, cardiology, and neurology. In addition, Mary has unique and extensive experience in negotiating difficult and challenging pathways through the FDA including but not limited to denovos, RFD’s, 513gs, 510ks, PMA’s labeling and marketing claims. Mary McNamara-Cullinane is a regulatory expert bringing over 25 years of regulatory experience to Alira Health. 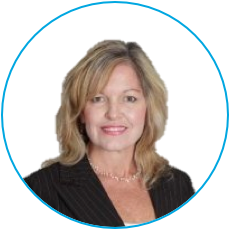 Prior to joining Alira Health, Mary has had her own consulting firm since 2011 (MMC Regulatory Consulting). Mary worked as Senior Regulatory Consultant to MEDIcept, as Senior Director of Regulatory Affairs for Intrinsic Therapeutics, and held executive positions in Regulatory Affairs for Echo Therapeutics, Z-Medica Corporation, Molecular Biometrics, and Medical Device Consultants. Earlier in her career, she was a scientist at Hygeia Sciences (acquired by Carter-Wallace). Mary McNamara-Cullinane has over 25 years of regulatory experience in the medical device, diagnostics, combination product and biotech industries. She has successfully authored over 175 510(k)s, multiple PMAs, denovo submissions, requests for classification and designations submissions as well as been responsible for several clinical trials. Mary has focused on helping emerging companies navigate challenges during development while establishing appropriate clinical, regulatory, and compliance pathways. Mary has a BA in Biology from Mass College of Liberal Arts, with concentrations in Molecular Biology and Medical Technology. She did post graduate studies at Northeastern University in Cardiovascular Health and Exercise Science. She is Regulatory Affairs Certified and has written extensively for various industry journals and newsletters on a broad range of topics related to regulatory affairs. To learn more about Mary McNamara-Cullinane and the rest of our team, visit alirahealth.com/about-us/team.